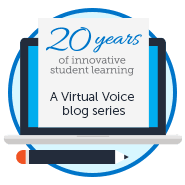 Of course, at FLVS you may be taking a course over the summer – but that doesn’t mean you can’t relax! But as we all know, Florida is so hot! So why not ask if you can travel somewhere a little bit colder? I am planning to go to New York or Colorado to visit my family. Summer wouldn’t be the same without campfires, s’mores, and lake days! If you can’t tell, I love to be outside. 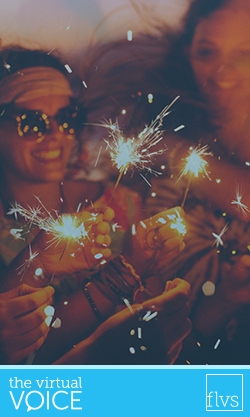 Whether you’re staying home or traveling, be sure to get out of the house this summer. I know it’s tempting to want to stay inside and play video games or watch movies all day, but get outside, get active, and enjoy the weather! I want to know about your summer plans, so comment below and tell me what you’re most excited about doing! Oh, and be sure to read over the summer. 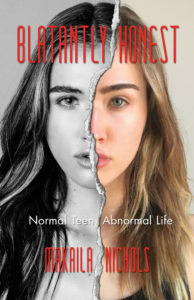 Pick up a copy of my book: Blatantly Honest: Normal Teen, Abnormal Life. It will give you some great insight into being a teenager and some great advice in case you need it. In wrapping up this year’s blog series, I have enjoyed being able to be part of your life every time you read my posts. 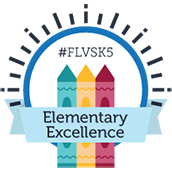 FLVS is a great school, and be sure to work hard so you can enjoy your well-earned summer vacations. Keep up with me on my social media channels in case you want to follow me well after this summer! Find me on Instagram (@MakailaNichols) or Twitter (@Maklynnnix). Thanks again for reading and enjoy the rest of your summer! This entry was posted in Student Edition and tagged Makaila Nichols, Staying Active, Student Voice, Summer, Summer Fun, Ways to Stay Busy During Summer on July 10, 2017 by Guest Blogger.